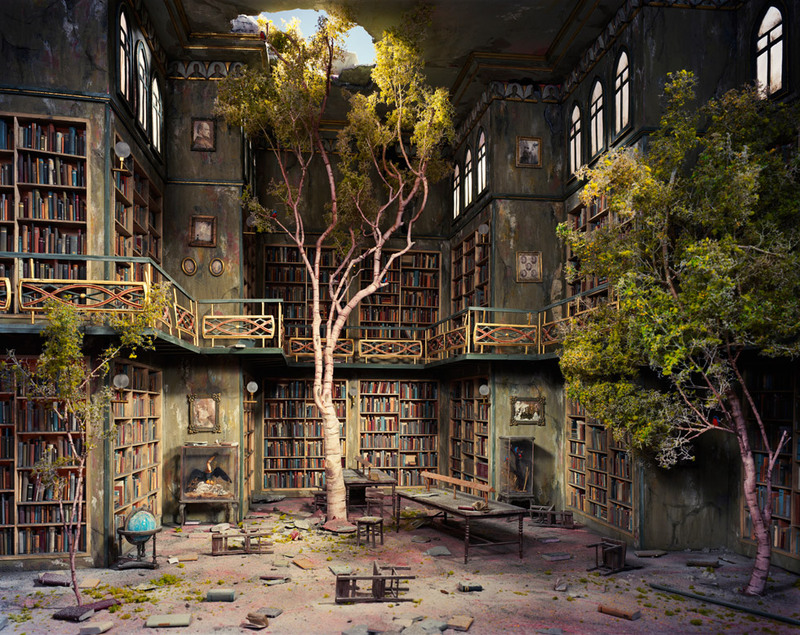 Above: © Lori Nix/Kathleen Gerber, “Library,” 2007, Archival pigment print. Lori Nix’s sensibility was formed by a childhood in Kansas where floods, blizzards, and tornadoes were normal phenomena and films like “Planet of the Apes,” “Towering Inferno,” and “Earthquake” played at the movie house. Her photographs present spaces of urban ruin—a wrecked anatomy classroom, a once grand library, and a Chinese takeout restaurant, to name a few. These are not documents of real world decay but rather images made with painstakingly constructed dioramas that she builds with her partner, Kathleen Gerber. Work from Nix’s series “The City” will be on display beginning October 7. Nix’s work has been exhibited throughout the country and is in the collections of the Museum of Fine Arts in Houston, the George Eastman Museum, and the Smithsonian American Art Museum, among others. Lecture: November 10, 2017, 4:00-5:00 p.m.